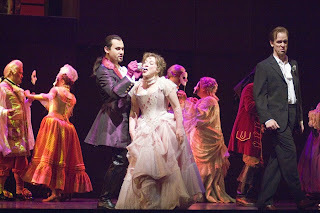 Don Giovanni is an opera of infinite possibilities. 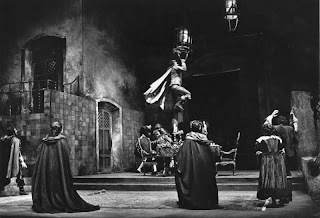 It’s what scholars call an ‘open’ work, meaning open to interpretation; unlike, say, La bohème, the creators of Don Giovanni didn’t go about to create an opera with a fixed and focused message. Instead, they asked a lot of questions, which is why we like to present varying interpretations of open works like Don Giovanni, or Hamlet, or Wagner’s Ring. Engaging with these works is a great way to learn about ourselves—what we think, what we feel, what we believe. We’ll never finish ‘climbing the mountain’ with these rich masterpieces of theater. But when we put them on, we make a valiant effort to get up above the treeline and enjoy—not THE definitive view, but A possible view. This fall, Seattle Opera presents its 8th production of Don Giovanni in 50 years. We’ve had charming Dons, sinister Dons, Dons both young and innocent and those more knowing or mature. We once had a Don who was a vicious murderer, while in other productions he’s been an okay guy with bad luck. And just as this wonderfully complicated central character has varied, so too have all the others; we’ve had milquetoast Ottavios and heroic Ottavios, crazily obsessive Elviras and noble, do-gooder Elviras, clownish, foolish Leporellos and classy, wise Leporellos. 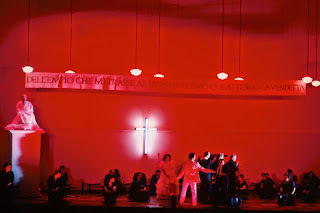 We now have photos from all 8 Seattle Opera Don Giovanni productions posted on our historical mini-site, seattleopera50.com; here, click the header above each photo to explore those productions in more detail. 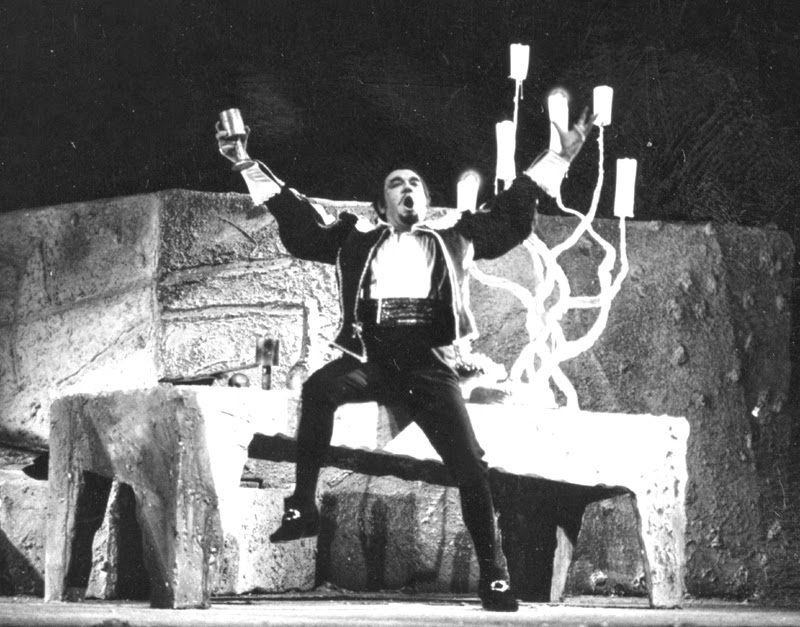 The elegant French baritone Gabriel Bacquier was Seattle Opera’s first Don Giovanni. 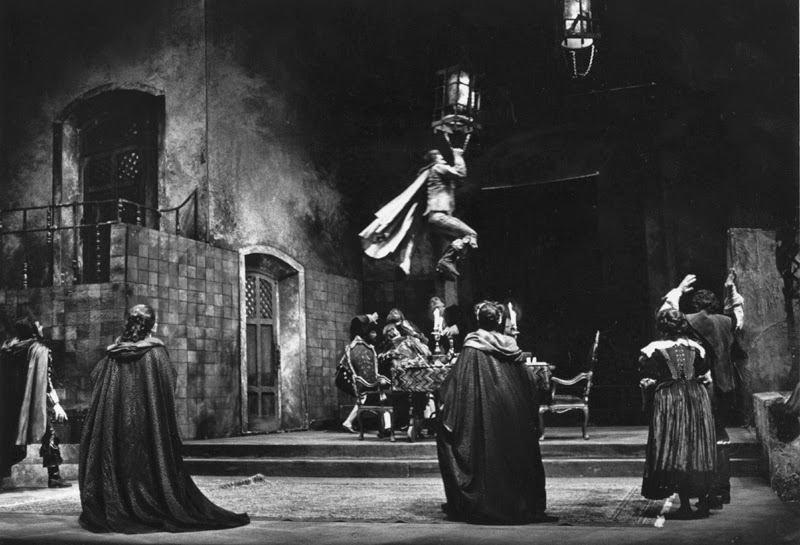 The production, which concluded the company’s fourth full season in Spring 1968, featured the second Seattle Opera appearance of Dame Joan Sutherland (Donna Anna), who had made her debut as Lakmé the year before. Sutherland’s husband, Richard Bonynge, conducted, and her favorite mezzo, Huguette Tourangeau, sang Zerlina. When they come for Don Giovanni at the end of Act One, Sherrill Milnes made a daring escape, swinging across his ballroom from a chandelier. Certainly one of the most controversial productions in Seattle Opera history, Speight Jenkins’ first presentation of this masterpiece polarized the public. Some lamented the absence of fantasy and romance in Christopher Alden’s production; others applauded a thrilling piece of theater. 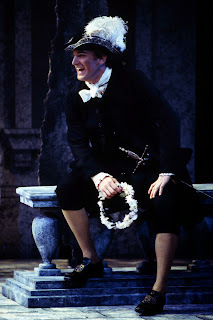 The Don was Seattle’s favorite baritone from 1984 to 1994, Dale Duesing, who never left the stage. Sheri Greenawald gave a powerful performance as Donna Anna, and Gabor Andrasy, a regular baddie in Seattle Opera’s Ring in those days, thrilled as her father. 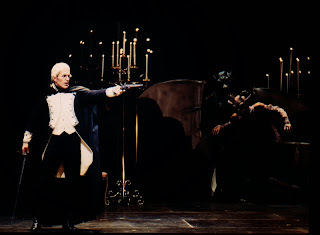 Kurt Streit (Don Ottavio) threatens Giovanni, while demons lurk. 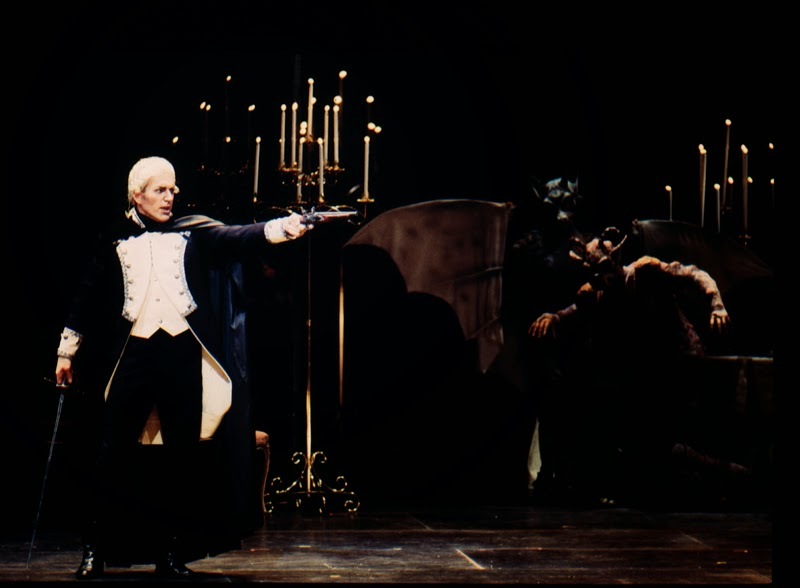 A few years later, Speight Jenkins presented Don Giovanni again—this time, set in a dark fantasy of eighteenth-century Spain. Flying Goya-esque monsters and sudden bursts of flame contributed to the dark atmosphere, as did the vile Don Giovanni of Jason Howard. With this production, Christine Goerke made her Seattle Opera debut as Donna Elvira. Husband-and-wife team of Sally Wolf and Kevin Langan joined the ensemble as Donna Anna and Leporello. A young Morgan Smith as the Don. The Young Artists Program took on Mozart’s ambitious dramedy in its third season. The two Don Giovannis, Morgan Smith and David Adam Moore, have both gone on to great success on the mainstage, as have Mary Elizabeth Williams (the Elvira) and Lawrence Brownlee (the Ottavio). Williams, who returns in January as Tosca, won Artist of the Year for her 2011 performance as Serena in Porgy and Bess. Brownlee, who won Artist of the Year in 2008 for Arturo in I puritani, now sings Don Ottavio in our current production—taking on this important role for the first time in his professional career. 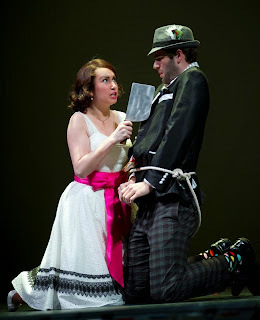 Marius Kwiecien (Giovanni) feeds Ailish Tynan (Zerlina) while Kevin Burdette (Masetto) fumes. The production we’re giving this fall, conceived by director Chris Alexander with costume designer Marie-Therese Cramer and set designer Robert Dahlstrom, first came to our stage in 2007. You can hear audio clips from that performance, conducted by Andreas Mitisek, on SoundCloud. Polish baritone Marius Kwiecien won Artist of the Year for his powerful Don Giovanni, and the intriguing production made Speight Jenkins’ list of his all-time favorites among the many operas he produced.